When my youngest son was toilet training, I used to sit near him while he did his business. When he was done, I’d erupt in a loud chorus of “For he’s a jolly good fellow,” which he took as great encouragement. But if you’ve got a toddler who’s afraid to have a bowel movement, you could have a challenging road ahead. But anyone who has watched a diapered toddler in pooping mode can appreciate the concentration, grunting and need to assume a comfortable position to succeed in filling that diaper. There are some children who lie down, others who crouch and still others who need to stand. “It stands to reason that some children might then have difficulty when expected to sit on a toilet seat with their feet dangling in the air,” says Dr. Gamulka. Some toddlers will scream and cry. Others will stubbornly refuse to poop in the toilet, or even hold their bowels. This can be frustrating for parents and painful for toddlers because the most common consequence of avoiding pooping is constipation. The key to successful toilet training (for both bladder and bowel) is to follow the cues of the child. 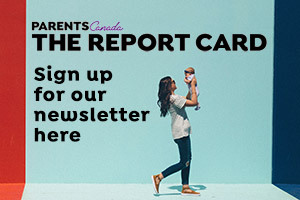 “Toddlers need to be ready and willing to try to sit on a potty and the experience needs to be positive and relaxed,” says Toronto pediatrician Dr. Beth Gamulka. Try her tips with your apprehensive toddler. Don't pile on the pressure. Readiness occurs at different ages and is very individualized. Toddlers who do not show any interest in trying or who exhibit fear in trying should not be forced. Find a comfy position. Once you do get your toddler on the toilet, positioning is important. Put your child on a potty on the floor or use an adapter toilet seat with a footstool to ensure that the child feels physically comfortable. Celebrate any attempt at sitting on the potty. Some children appreciate the attention of a parent who reads a book to them while sitting on a potty or toilet while others may enjoy a sticker on a reward chart for simply trying. Try, try again. If your child is showing signs of not being ready, leave him or her in diapers for a few weeks until the topic is revisited. There is no benefit to daily power struggles between parent and toddler over sitting on a toilet. I often say that a ready and willing toddler usually succeeds in partial if not full daytime toilet-training in a matter of days or weeks. The child who fights it over months is not ready to try. Originally published in ParentsCanada magazine, June/July 2014.